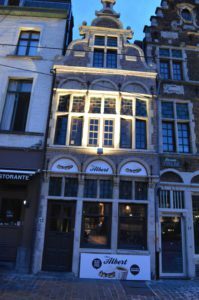 Furnished 2-bedroom holiday residence for 1 till 4 persons (child min 12 years no baby’s) in the historical centre of Ghent, located just across the entrance of the Gravensteen. The residence is fully and thoroughly renovated, while retaining the historical elements. It is equipped with a newly fitted kitchen. Attention : many stairs !!! 1st floor contains a living area, dining area, kitchen, toilet and small terrace in tha back. 2nd floor has 2 bedrooms with a queen size bed, bathroom and separate toilet. Room for 1 to 4 people. I agree with the cancellation policy.